My TEDxVail Talk will be soon available! TEDx Vail organizers uploaded the 20 speakers’ videos of this year event to TED.com and are awaiting the approvals. Few more days to go!! 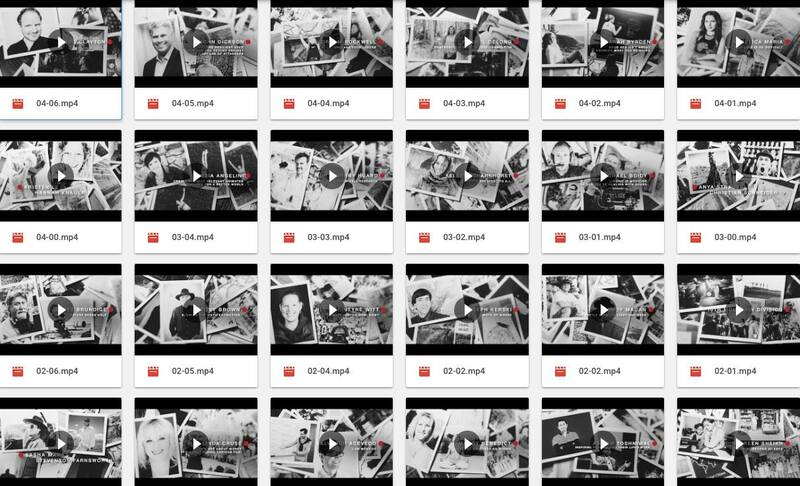 Finally had the time to update the site storyboard section. 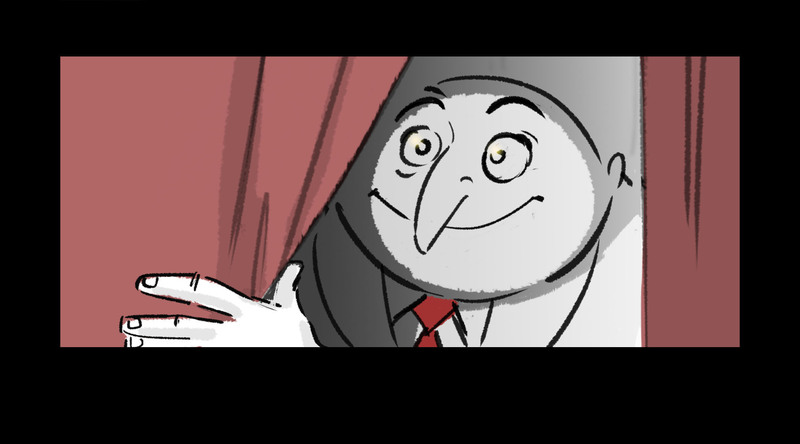 Check out my work on Despicable Me 3! Next work out will be sequences from The Grinch but you’ll have to wait until 2019 to see them!! Looking forward to being at the View Conference 2017 with VFX Supervisor Valerio Oss. We’ll open the conference with a keynote presentation! 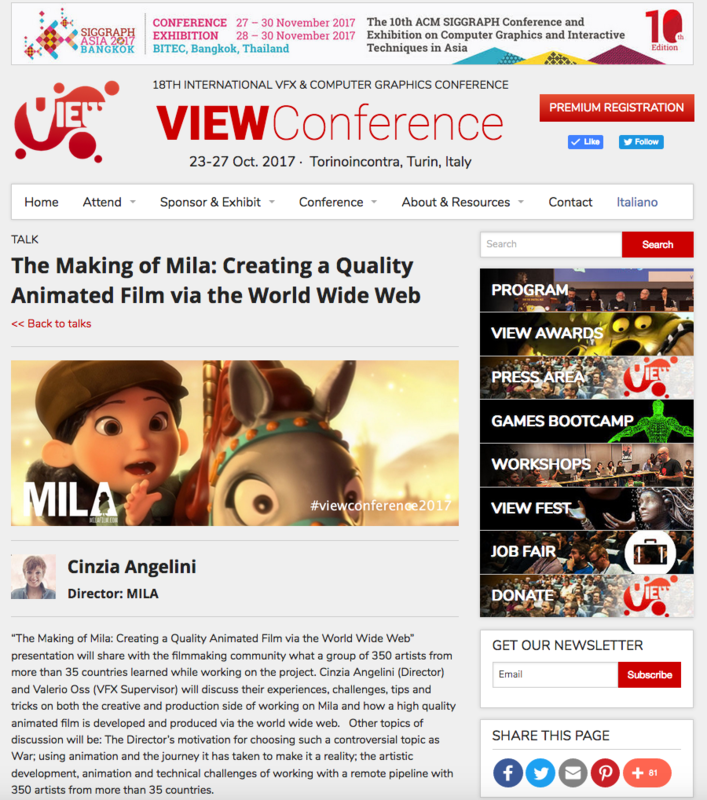 “The Making of Mila: Creating a Quality Animated Film via the World Wide Web” presentation will share with the filmmaking community what a group of 350 artists from more than 35 countries learned while working on the project. Cinzia Angelini (Director) and Valerio Oss (VFX Supervisor) will discuss their experiences, challenges, tips and tricks on both the creative and production side of working on Mila and how a high quality animated film is developed and produced via the world wide web. Other topics of discussion will be: The Director’s motivation for choosing such a controversial topic as War; using animation and the journey it has taken to make it a reality; the artistic development, animation and technical challenges of working with a remote pipeline with 350 artists from more than 35 countries. Looking forward to the View conference 2017! Thanks to Animation Express for this great article!